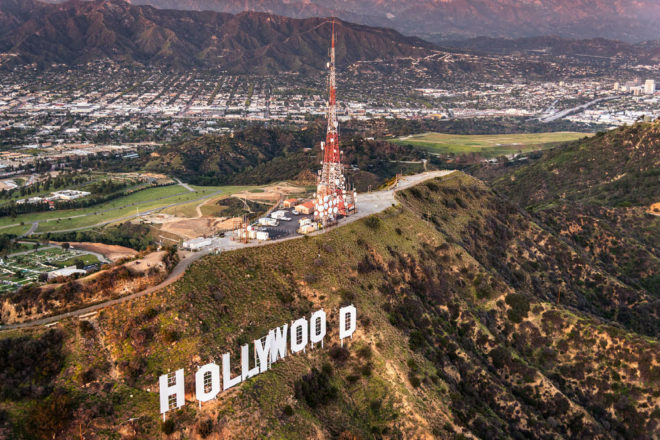 The Hollywood Sign, Los Angeles. 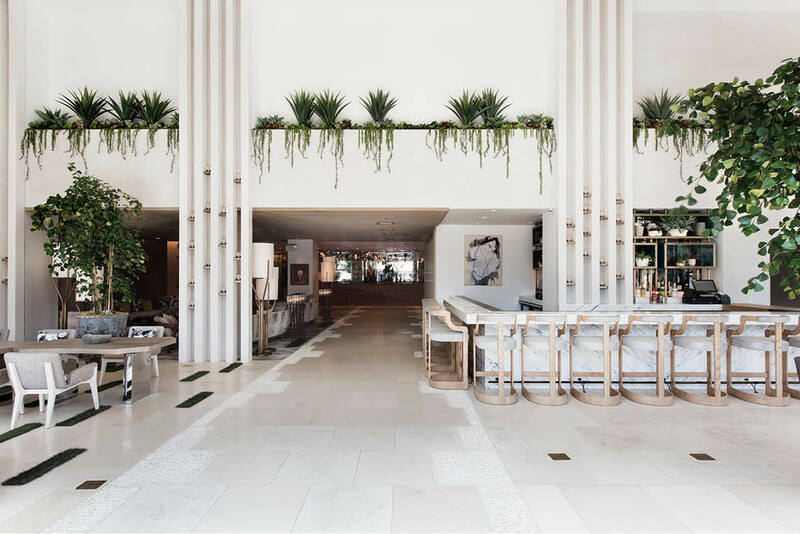 Recently Celeste travelled to sunny Los Angeles, and was kind enough to provide a list of recommendations on where to sleep, eat, drink and play – and play she did. Needless to say, we’ve got them all bookmarked. Perhaps it’s best not to follow in her footsteps completely… ha! We stayed at the new Dream Hollywood Hotel in Hollywood, which only opened last year – and it was great. I hadn’t stayed in the Hollywood area before, but it seems to be undergoing a transformation of sorts and there are really cool little pockets opening up. I’m really into the area around Selma Avenue, near the Dream, where there are great restaurants and cafes. We went to Groundwork Coffee Co EVERY MORNING for our breakfast and coffee hit. If you’re there, be sure to ask for Travis and tell him Celeste says hi. The Dream Hollywood Hotel was true to its name. It’s right next to the fancy nightclub, Avenue LA. As my clubbing days were over about a decade ago, I wasn’t into the partying. Instead I sat in the foyer watching all the pretty people do all the pretty people things – it was awesome. I could pretty people watch all day long. I have a real obsession with walking through Urban Outfitters and pretending I live there and the people who work there are my roommates – it’s weird and I love it. There was an Urban Outfitters concept store in Hollywood called Space 15Twenty, around the corner from the Dream Hollywood Hotel, where we were staying, so I would go there and be weird. This store has not only women’s and men’s clothes, but it also has all of the homeware stuff! I have only ever seen their homeware online and as DJ Sweaty Fresh and I are OBSESSED with homewares, we were in our element. Umami Burger Hollywood changed our lives. There are several stores across L.A., but there was one right across the road from our hotel in Hollywood, and it’s right next to Urban Outfitters. Man, we TOTALLY made the most of it. 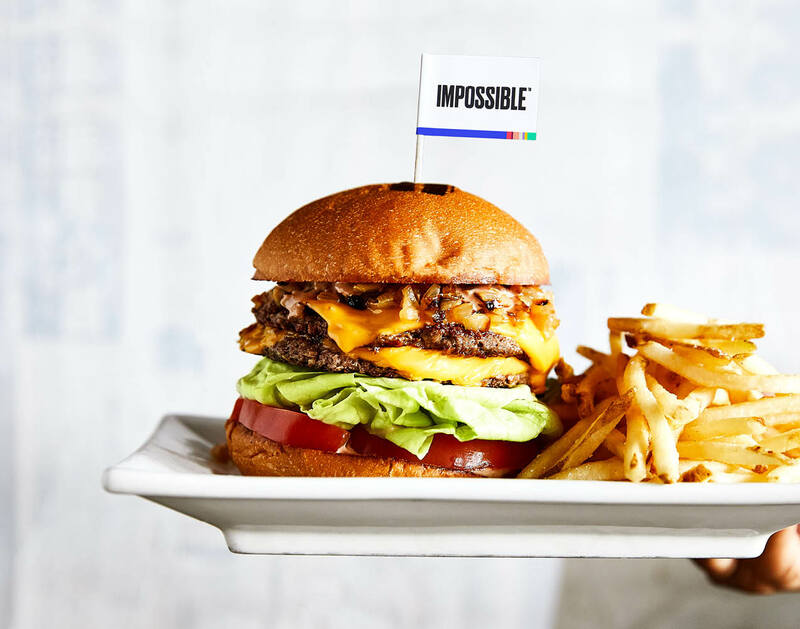 At select outlets they do a burger called the Impossible Burger, which is a vegie patty, but you would never know. I still dream about it. I may have had two for lunch on the final day in L.A. because I was trying to prolong my separation anxiety. America does a burger like no one else in the world. Every time I go back to L.A. I think ‘I’m going to eat well and drink all the green juice in the city’, but the burgers call me. And now the Impossible Burger has my heart, it’s going to be impossible to beat it. (See what I did there?). 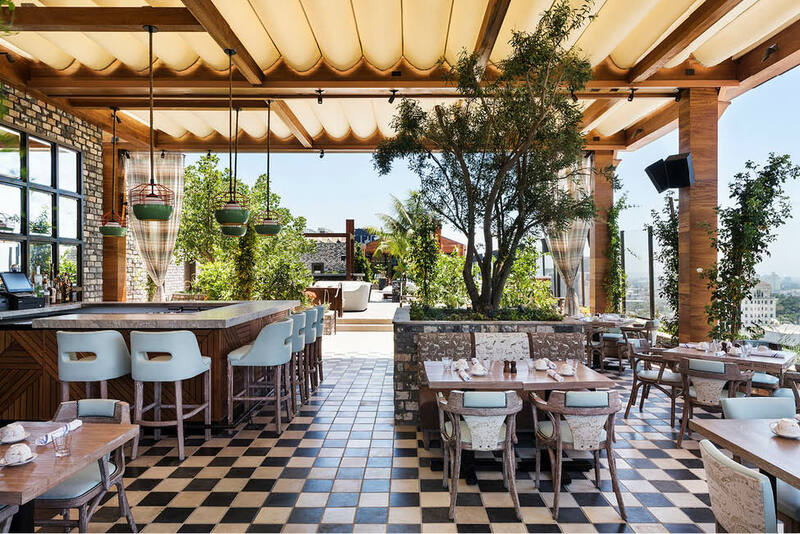 There is an awesome rooftop bar called The Highlight Room at Dream Hollywood Hotel that has 360-degree views of L.A, as well as the iconic Hollywood sign. You can also see the Scientology building from up there, which gives the right amount of ‘heebee-jeebies’ that a rooftop margarita can fix. #Hothusband was also quite partial to several Dos Equis every afternoon. You can never go wrong with The Hollywood Sign. I saw Caitlyn Jenner’s son, when I was at SoHo House’s Little Beach House Malibu with my Aussie mates. I think it was Brandon, but Brody is much more famous, so let’s say Brody… It was kind of fun and boring all at once. I was hoping to see Miley Cyrus skipping around with daisies in her hair, but no such luck. We went to Malibu for #hothusbands birthday, which was great. We stayed at an awesome hotel called The Surf Rider, which is inspired by the Californian surf culture, and just did a whole lot of nothing which was very exciting for us.